Do Not Buy Oregon Bonds and Ted Wheeler Is A Fraud! There is no organized Muni Market. This is especially true in the Muni Market secondary. You are expected to buy Oregon bonds and hold them to maturity. But if you ever want to sell... or have to sell... there is no chance of you getting a fair and reasonable bid. Most brokerages do not provide bids on Oregon bonds...not even on the Oregon bonds they just sold you... not even on Oregon bonds they have acted as underwriter. This same problem will extend down to your heirs if they ever want or need to sell your Oregon bonds. In terms of an organized, fair and reasonable secondary market, you are better off buying a new car or even a vacation timeshare than you are a Oregon bond. 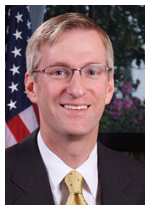 And it has not taken long for me to clearly see that your Treasurer, Ted Wheeler, is a huge FRAUD. You claim and take credit as leadership of this Country's State Treasurers. In good faith I proposed an idea to improve the Muni Markets, especially the secondary bid-side, to the State Treasurers which in turn you kicked it to your State Debt Action thing. You are on this State Debt Action thing. The Muni Market secondary is so bad it is unthinkable for you to say no to anything.